As a JET there are specific systems in place for communication during a disaster.If a disaster occurs the first person you should contact is your contracting organization supervisor. This is instructed to all JETs in the General Information Handbook (2013, pg. 161). Once you have contacted your supervisor they will contact the Japanese PA, this information will then be passed onto CLAIR.If your family is unable to reach you after a disaster, they are likely to call your CO, the PAs or CLAIR. This is one of the reasons why the first person you should contact is your supervisor. When traveling, whether in Japan or abroad you should inform your CO supervisor of your travel plans. You can do this by filling in the CLAIR ‘Emergency Contact Details when Traveling’ form, which you can download here. This will enable your CO to confirm your safety as soon as possible if a disaster happens. Be aware that your CO may have a more detailed form that they want you to complete. It is also highly recommended that your register with your country’s Embassy or Consulate in Japan. If a disaster occurs in Japan the embassy/consulate tries to make contact with and confirm the safety of all their residents that are registered with them. You can find the links to the embassies and consulates here. 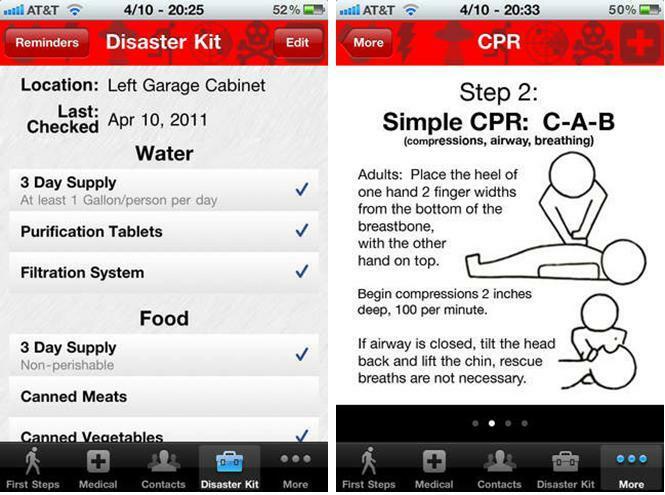 Japan (and the wider world) has many Apps and Alerts that are available for free to help prepare for and help in disasters and emergency. Here are just a few of the ones that we have found that we think would be useful for you. 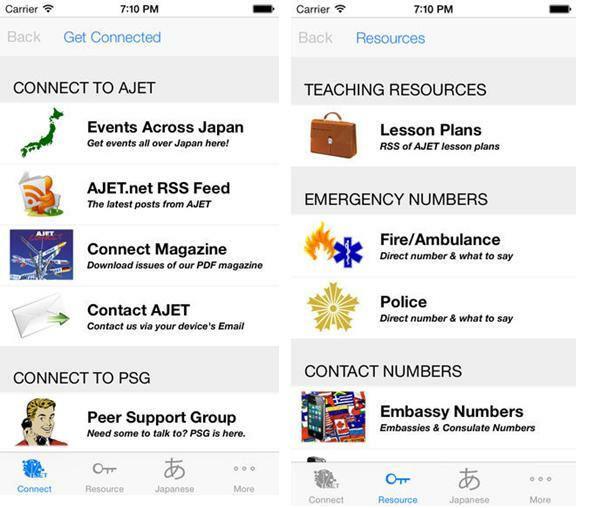 AJET – iConnect – Get the latest information and resources for living in Japan. Japanese phrases and vocabulary for everyday living are right at your fingertips. Tools to help you throughout your stay; like the Japanese Year Converter and Unit Converter. In addition it has the phone numbers of the embassies, consulates, and emergency service numbers loaded into the app which allows you to call them directly from the app. 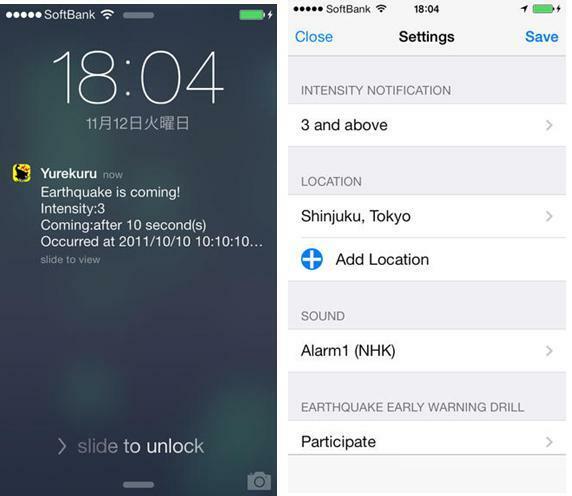 ゆれくる Yurekuru Call – This is a push notification app which gives you a notice of an earthquake warning with an estimated seismic intensity (the Japanese seven-stage seismic scale) and arrival time of the tremor to the specific location where you are registered. It can give notifications in English. Make sure you select your location and the intensity level otherwise you will get notifications all the time. 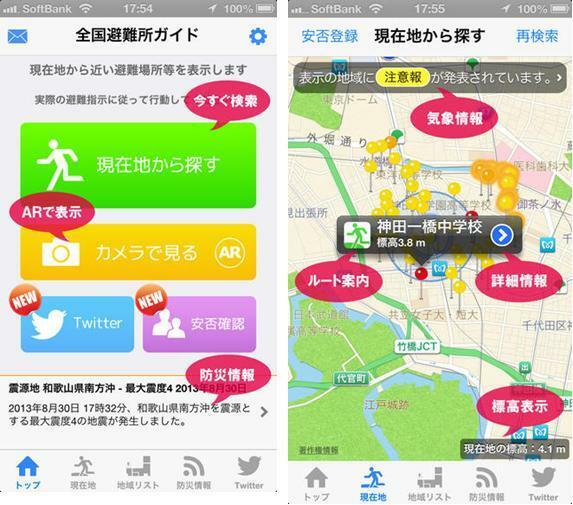 防災情報　全国避難所ガイド bousai jouhou zenkoku hinanjo gaido – This app uses GPS services to find the nearest evacuation shelters to where you are. While the English is only partial, it’s pretty intuitive. There is an AR camera function that will show you which direction the shelters are located. Disaster Prep – Features: a disaster kit checklist, personal medical record database with export to email function, reminders every 6 months to check/rotate kit supplies, family emergency plan forms, insurance and vehicle information, general information on disaster basics, and basic CPR and first aid information. 佐賀 防災ネットあんあん Saga bousai netto anan – Saga Prefecture has an emergency e-mail alert service which you can register your PC or cellphone address with. The service is entirely in Japanese, but it is specific to Saga and you can choose which city/town you are located in, which notifications you want etc. Disaster message boards are voice or email message boards that are “provided when a disaster such as an earthquake or volcanic eruption occurs, and is required when communication traffic to the disaster-stricken area increases and it is difficult to get through” (NTT East website). There are many different suppliers of services but the Saga PAs recommend using the NTT Disaster Message Boards. NTT allows residents to practice using both of their services on the 1st and 15th of every month. Through using landlines, public telephones or phones at evacuation centers you can call this service (171), and leave a phone message for other people in Japan to check. The service is provided only in Japanese, but by following the directions below you can leave a message in English. 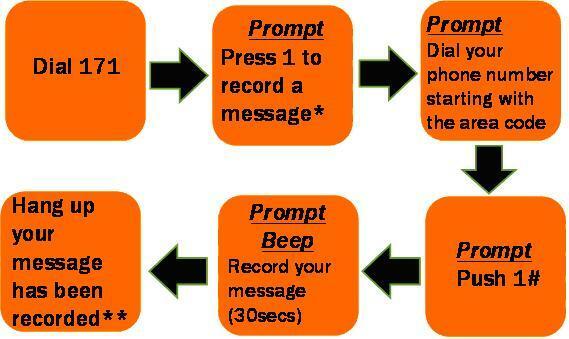 Your message can be up to 30secs long, will be stored for 48hours and you can store between 1-10messages. You can read the English version of the prompts here. *2 = play back; 3 = record using a PIN (more privacy), 4 = play back using a PIN** you can listen to your message if you push 9#, or you can re-record your message by pushing 8#. Also if you are using an old style dial phone you do not to dial 1# after your phone number. More information and instructions are available in English here. Internet access and a phone number (cellphone or landline) are required to leave a digital message on this message board. The site is available in English and allows you to write a message as well as indicate your safety.You can register in advance, and have email notifications sent to contacts you register (up to 10) when you post a message. These messages can be checked by anyone around the world with internet access and your phone number. Messages can be 100 characters long and you can store up to 20messages. Website. More information and instructions in English are available here.